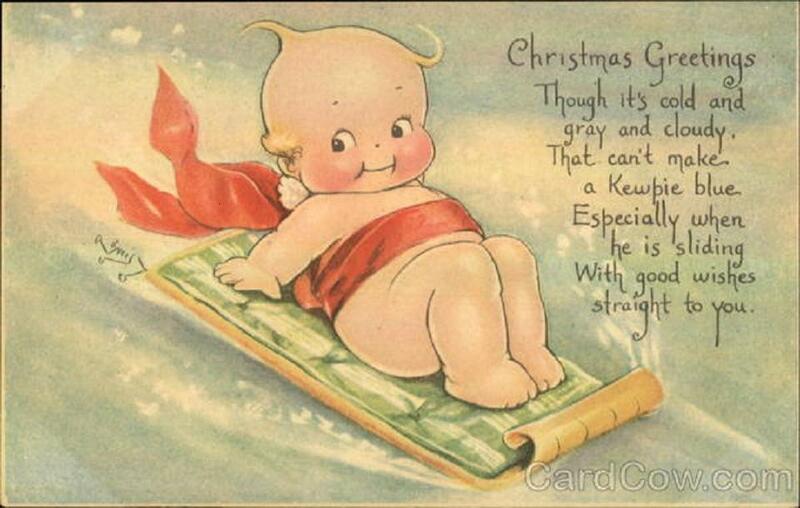 Farm Girl Pink....: ~Love the Kewpie's! 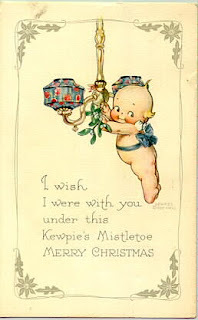 Oh, how I love the Kewpie's. 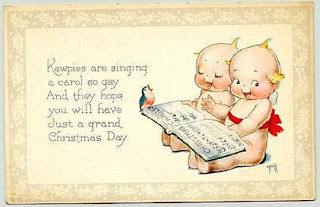 There are so many vintage items with their image's from coloring books to greeting cards. This stuff is plentiful. And very collectible. They began as a illustration for a "Ladies Home Journal" by Rose O'Neill in 1909. Then they grew into so much more. I have looked to purchase another one of these... but just not lucked into one yet. But I also have a pink striped vintage towel for the base. Which was also gifted to me, when I received the Kewpie towel holder. I have always had this Kewpie sitting out... either in my bathroom or bedroom ever since I got him. I do like the odd things... and love to decorate with them. So along with my wonderful Kewpie towel holder... 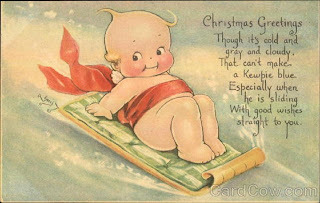 I am sharing some wonderful Kewpie Christmas greetings too! Oh how I love Kewpie's! 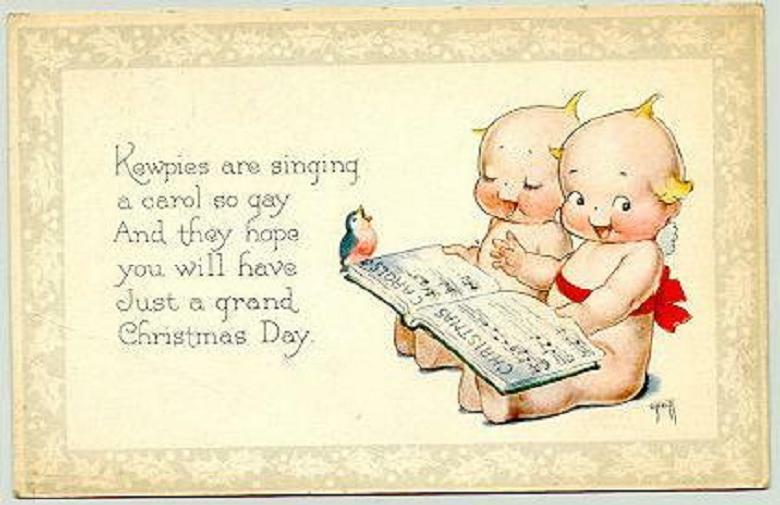 I have fond memories of my grandparents and the Kewpie dolls they had for us to play with, unfortunately I didn't inherit any of them. Aw, I have a Kewpie doll! Don't see them much anymore. ~Hull Jardiniere vase.... with the yellow lily! ~Hazel Atlas... criss cross pattern in Green!